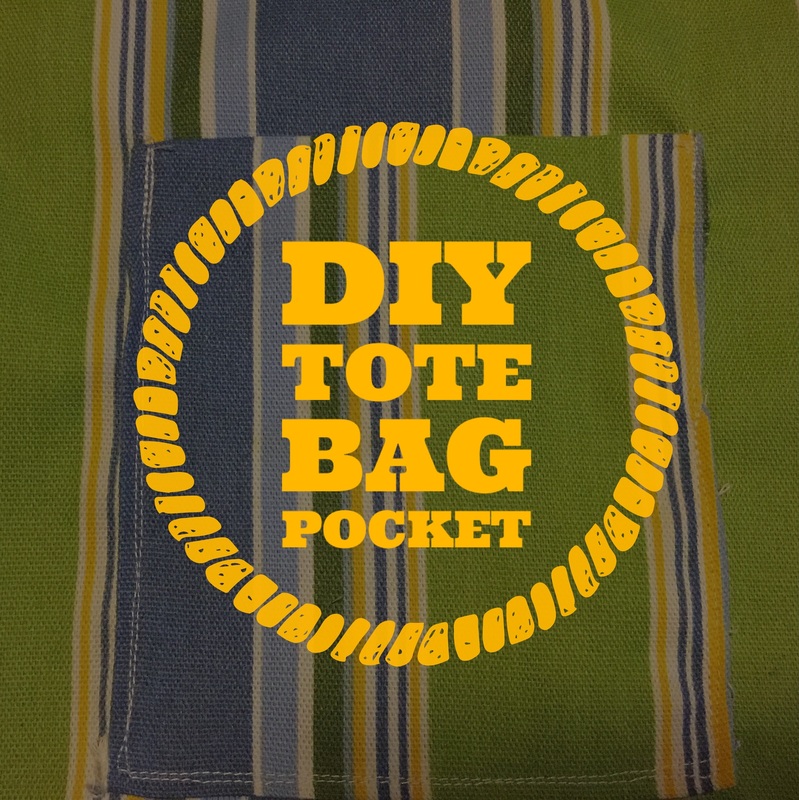 Jazz up a boring tote bag with a front, back or inside pockets! You can add one simple pocket for storage or add a few pockets to store various items. A tote or handbag pocket is a quick and simple project to create in no time! 1. 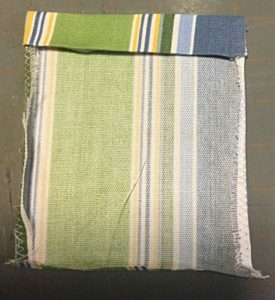 Measure with a ruler and mark on the wrong side of fabric a square or rectangle for the size of the pocket you desire adding a ½” seam allowance to 3 sides of the pocket plus 1 ½” for the top of the pocket. 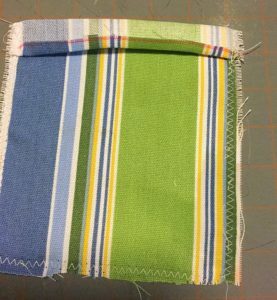 Cut fabric along the marked lines. 3. 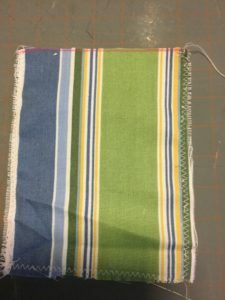 Press back the top edge of the pocket wrong sides of the fabric together by ½”, stitch. 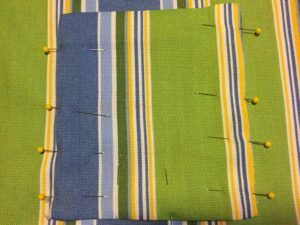 Fold the top of the pocket over right sides together measure 1” press and pin in place. 4. 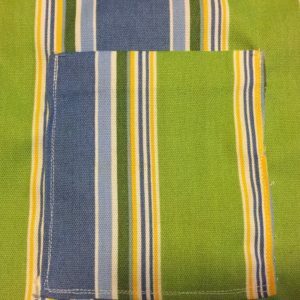 With a ½ seam allowance, stitch both sides of the folded top of the pocket. Turn the top of the pocket right sides out and press. 5. 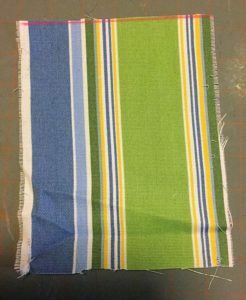 Fold the sides and bottom wrong sides together ½” press and pin to the fabric. 6. Topstitch the pocket on three sides backstitching at the top on both sides to reinforce the pocket. How to center a patch pocket for a tote or handbag. Determine where you will be placing a pocket for your bag. Use your chalk and ruler and draw the determined seam allowance on all sides of the bag. Pin the pocket visually to the desired location lining it up with the sides of the bag. Measure the distance on all four sides to ensure that your pocket is straight. For example, the distance from the top to the pocket should equal the distance from the bottom to the pocket. Re-adjust as needed and pin to fabric.